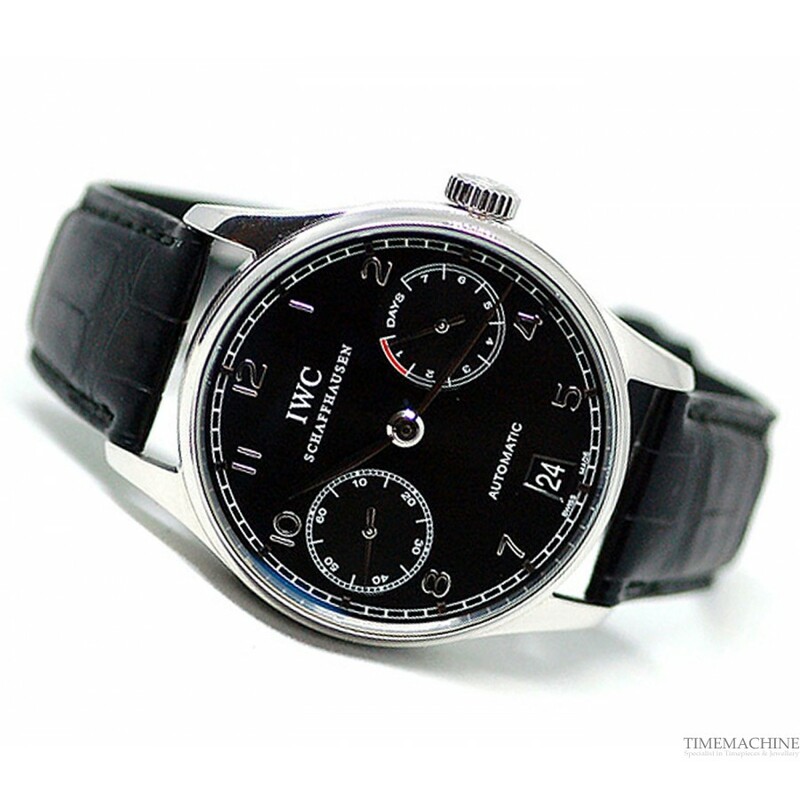 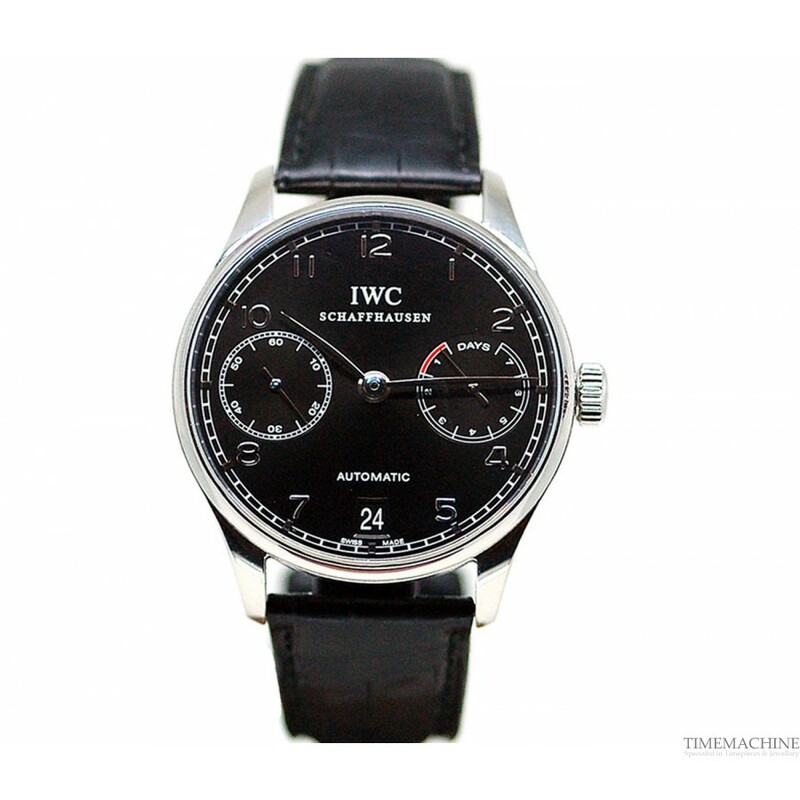 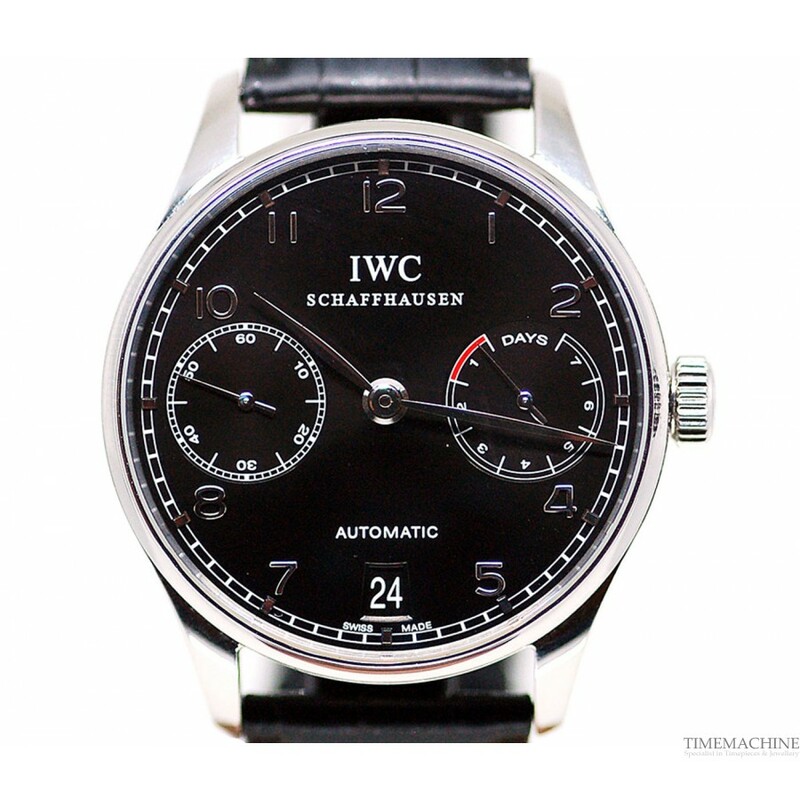 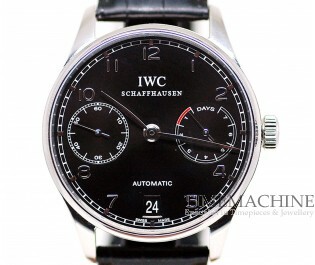 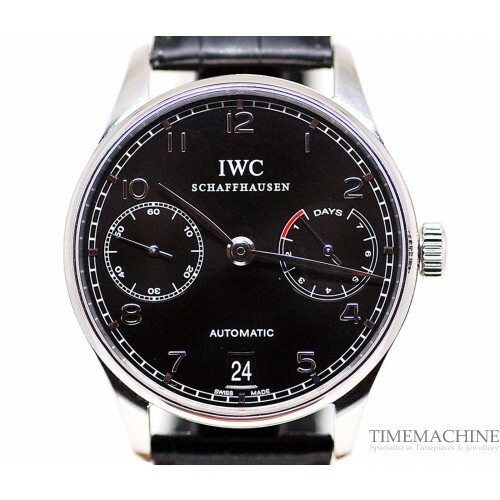 Pre-owned, IWC Portuguese 7 days power reserve, 42mm stainless steel case, black dial with power reserve indicator and date, sapphire crystal glass, see-through case back and black leather strap with stainless steel deployment buckle. 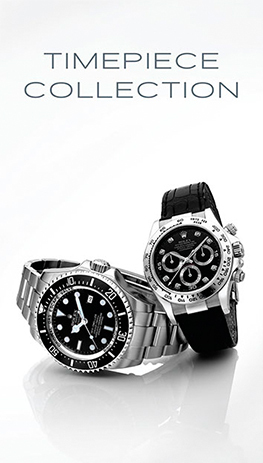 Water resistance to 30 metres. 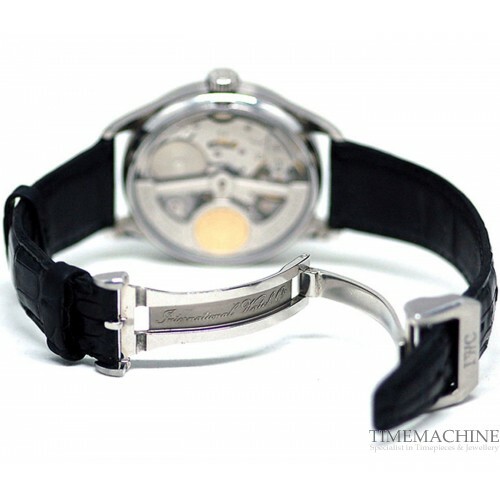 Complete Set, Time Machine London box and Time Machine Papers, it also carries a 12-month mechanical warranty. Please Quote 3551 in all communications with us regarding this Timepiece. 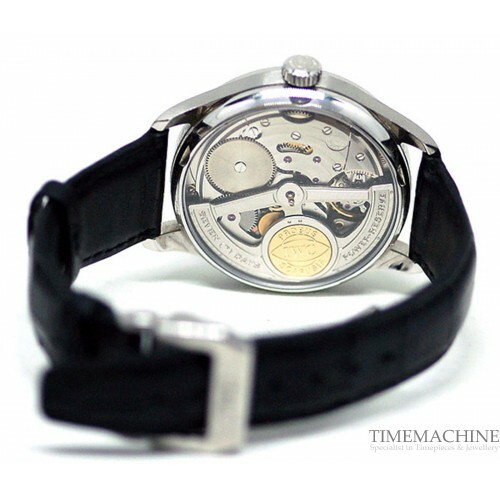 Since its debut in 2004, the Portugieser Automatic with date display has become one of the most successful Portugieser (Portuguese) models ever to come from Schaffhausen. 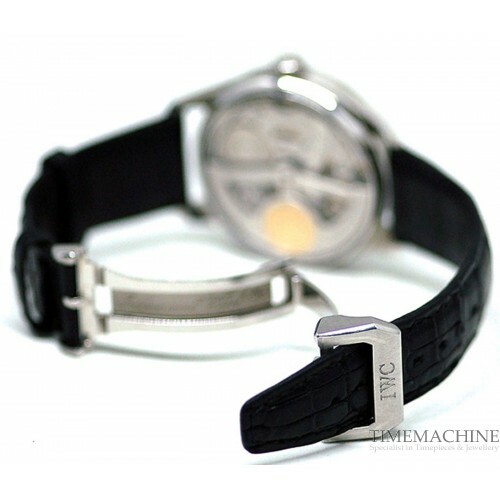 The balanced dial design retains the classic appeal of the legendary original Portugieser first manufactured in the 1930s.